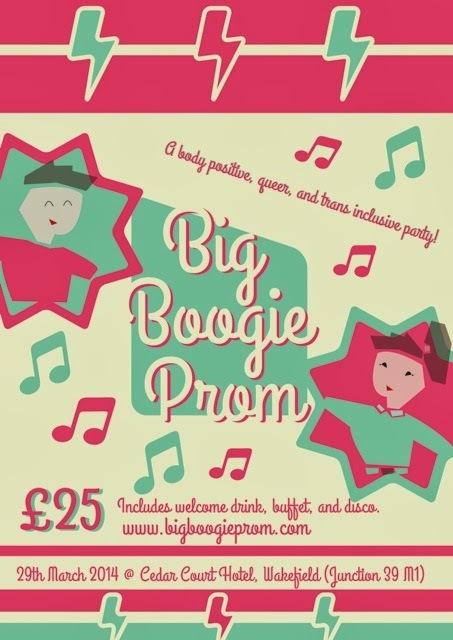 My Lovely friends Rebs is organising a prom (Read her post about it here) The prom sounds like it will be amazing and it's only 9 weeks away. It is a body possitive, queer, trans inclusive party. I believe it started as a plus size event and has morphed to make sure it is inclusive of everyone. The ticket price is £25 plus booking fee and you can find links here on the website. The ticket price includes a welcome drink, a buffet, and a disco. - There is no "minimum fatness" requirement! This prom is for anyone. - There is no dress code. Yes, some people will be in fancy dresses and suits. But if that isn't your thing or within your budget, there will be no shame in your turning up in a t-shirt and jeans. - I am actively looking for sponsorship if you are in a position to offer help, contacts, or if you own a shop and can offer a discount for our goodie bags! I can't wait and it's only 9 weeks away, I need to decide on a dress and book some train tickets.